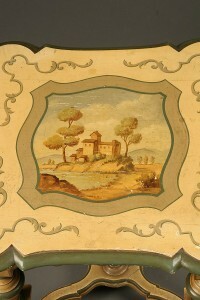 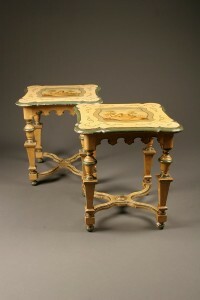 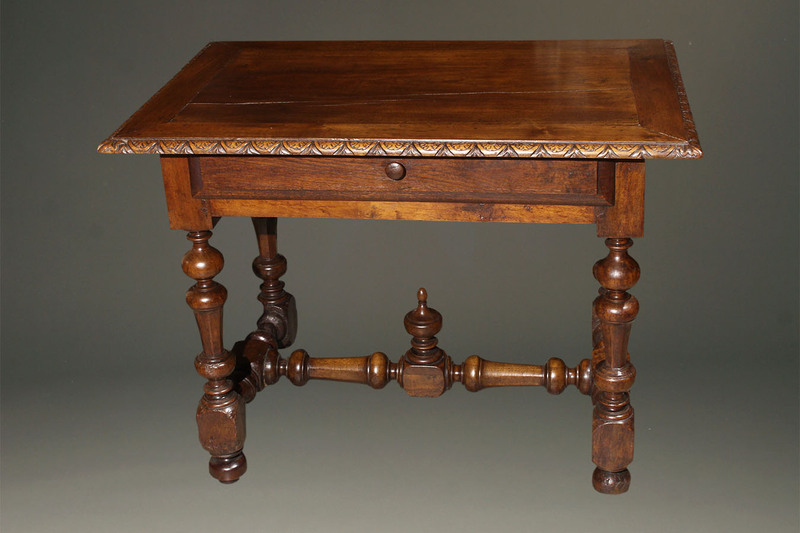 Antique French Louis XIV style country work table.Antique French Louis XIV style country work table. 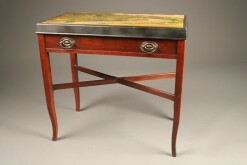 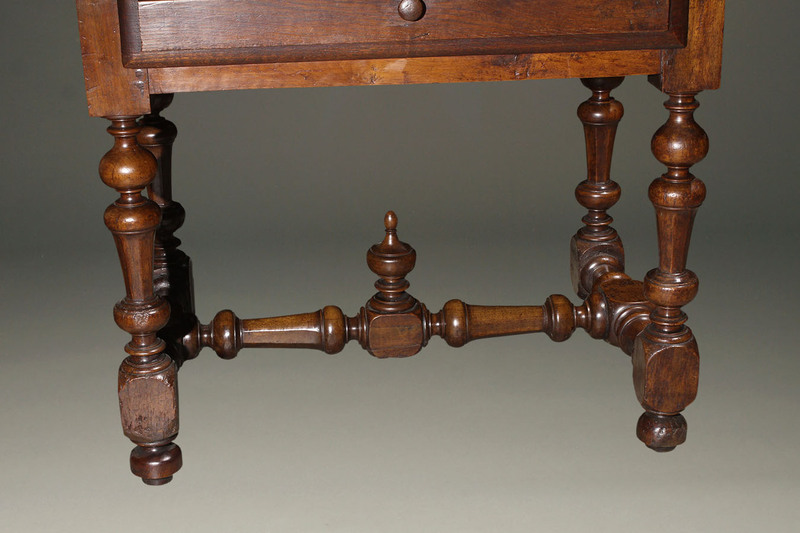 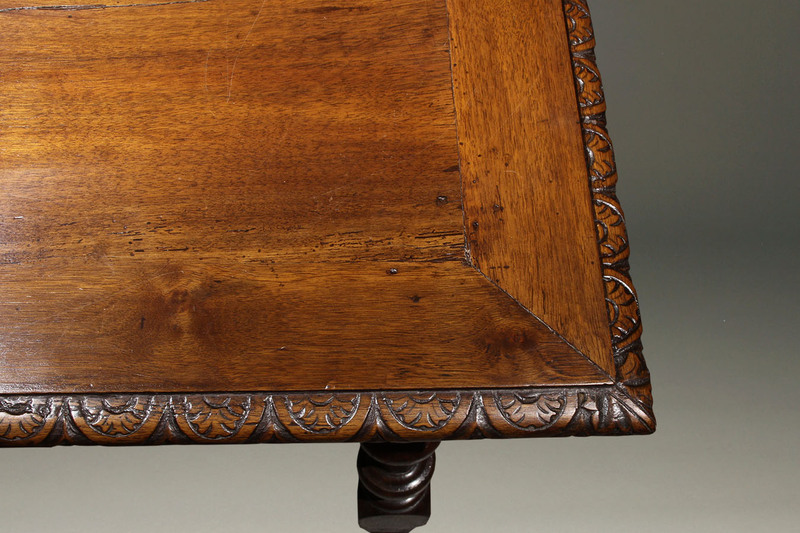 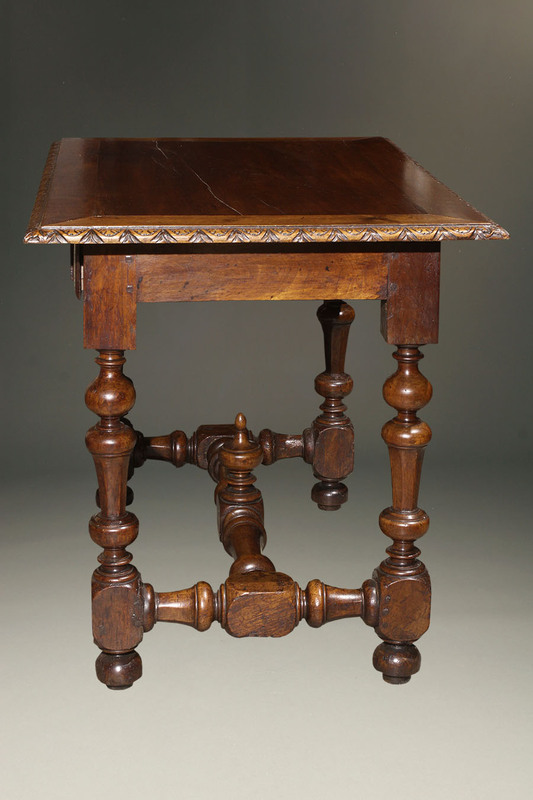 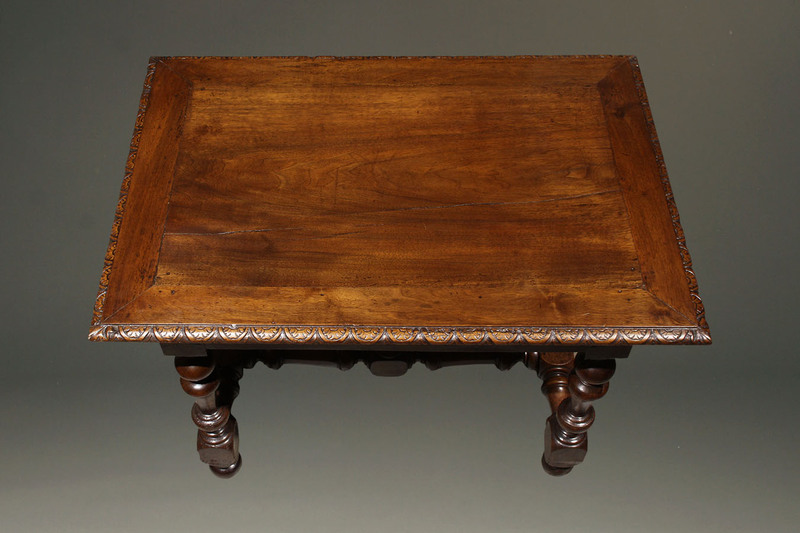 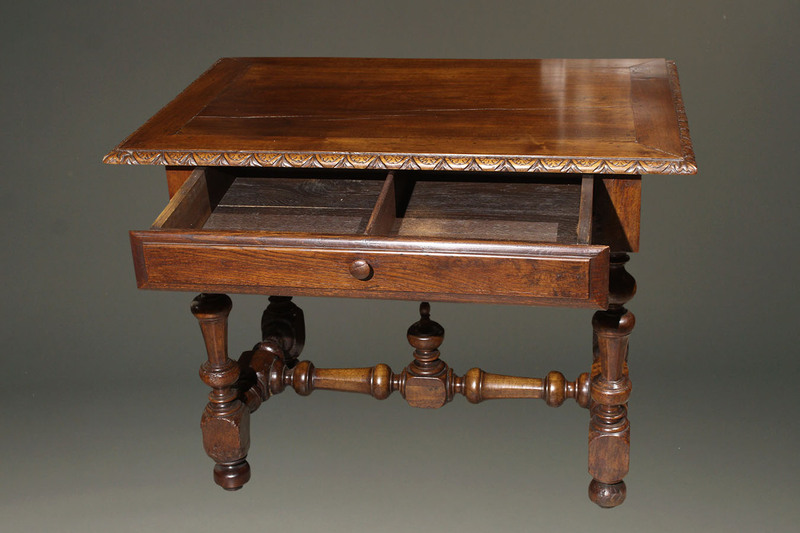 Early 19th century French Louis XIV style country walnut work table with drawer. 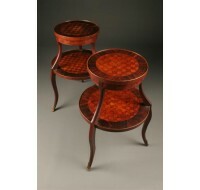 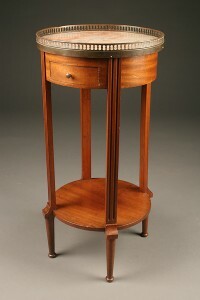 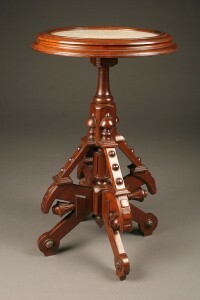 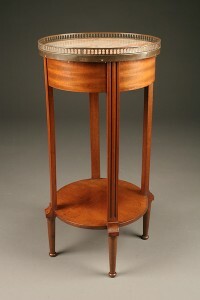 Antique round lamp table with marble top and gallery.